I love cookies. No, I mean I really love cookies. Seriously though, at Thanksgiving, when we went around the table and said what we are all thankful for, I said, “Cookies.” Alright, you caught me. I didn’t really say cookies. But I totally thought it. 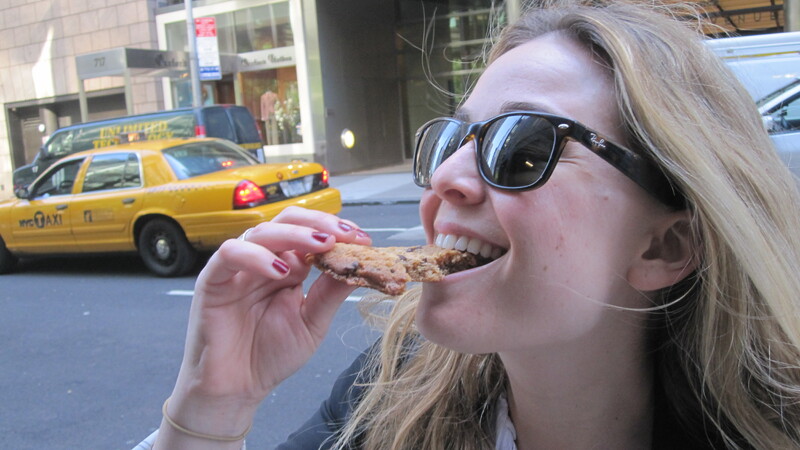 I happen to consider myself a cookie connoisseur, but what you should also know about this Bite-Sized Blonde is that I am an EOCE, Equal Opportunity Cookie Eater. I have never met a cookie that I didn’t at least try. When Gandhi said be the change you want to see in the world. He was talking about eating ALL kinds of cookies. I just know it. So, with those wise words, I went into the world of cookies and decided to explore, and what I found was gooooood. Salty sensations being added to sweet treats? Brilliant! I went home and decided to experiment myself. I thought, “What could I add to a chocolate chip cookie to make it better?” Unlike Cream Cheese, not everything goes with a cookie. 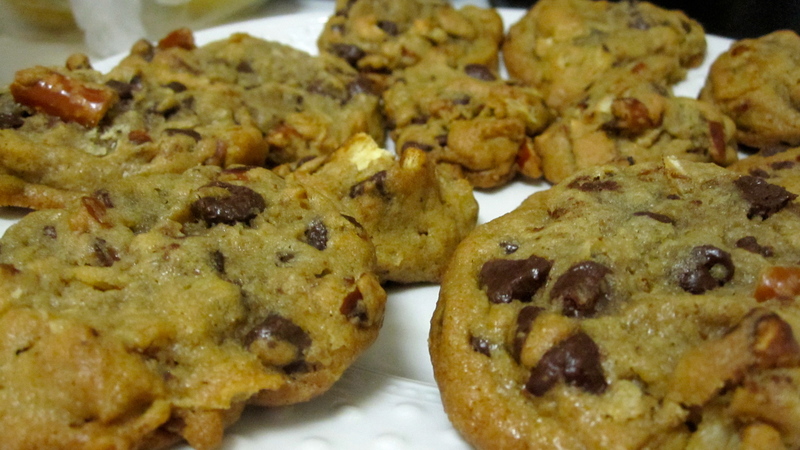 But, I did happen upon a few things that work marvelously with chocolate chip cookies, potato chips and pretzels. That’s right, adding junk food to junk food is not only a junkie’s dream come true, it’s mine. They say, “Without the bitter, the sweet ain’t as sweet” but what I really think they meant to say is “without the salty, the chocolate ain’t as chocolaty.” Adding potato chips and pretzels to chocolate chip cookie dough to make one outrageous cookie is sheer genius, if i do say so myself. Think munchies, and then think cookie, and you get this: The Mother of All Munchies Cookies. 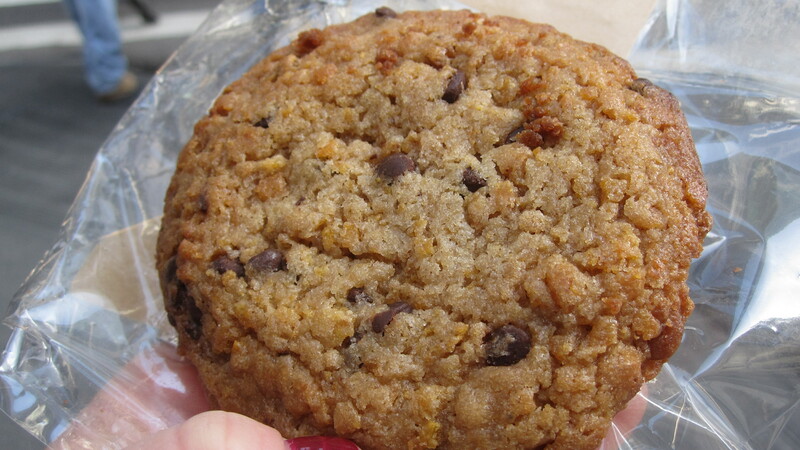 Shout out to Mom here, cause this is the anti-mom cookie. 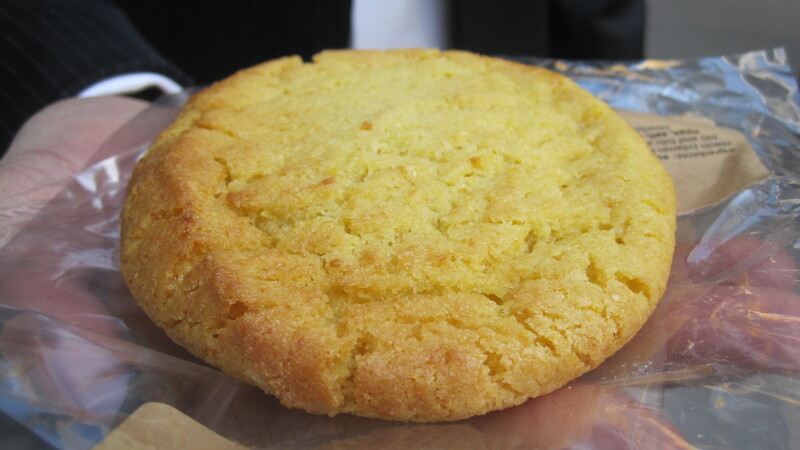 This cookie is everything your mom doesn’t want you to eat. Sorry Mom, but it’s delicious. Preheat the oven to 350 degrees. Add the cookie dough to a large bowl. 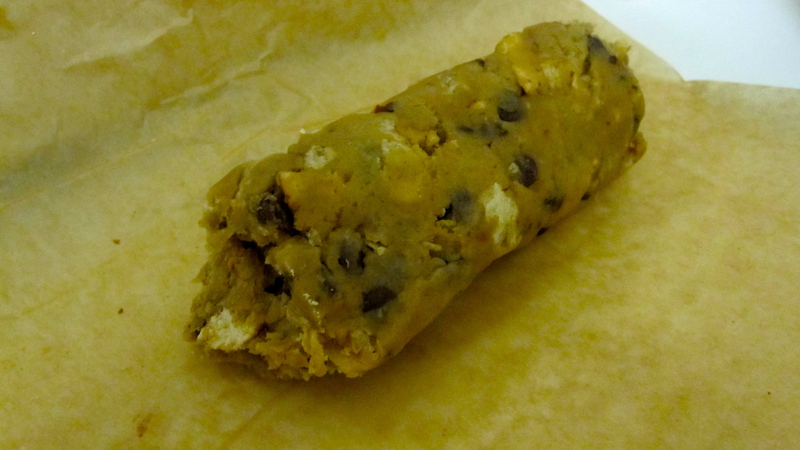 (Make sure the cookie dough is at room temperature before you start working. This will make it easier to combine the ingredients.) Place the pretzel rods in a Ziploc bag and zip to close. Smash the pretzels with a pan until they are in small pieces, about the size of a nickel. Add the pretzels to the cookie dough along with the bag of potato chips. The chips will break into smaller pieces when you are mixing them into the dough, so no need to smash them first. Then, mix to incorporate. When all the ingredients are evenly distributed, place the dough into parchment paper and roll into logs. * I made 4 logs with these ingredients. Place the dough in the refrigerator for at least 30 minutes to chill. It is important that the dough be cold before it goes into the oven in order to evenly cook. After the dough has chilled, remove it from the refrigerator. If you have made logs, slice the cookies and place them on an oiled baking sheet. If you are working with a bowl of dough, form each cookie with 2 tbs. of dough. Place the cookies in the oven for approximately 13 minutes, or until golden brown. Remove and let cool before handling. While these cookies are great on their own, they are even better with a little ice cream! 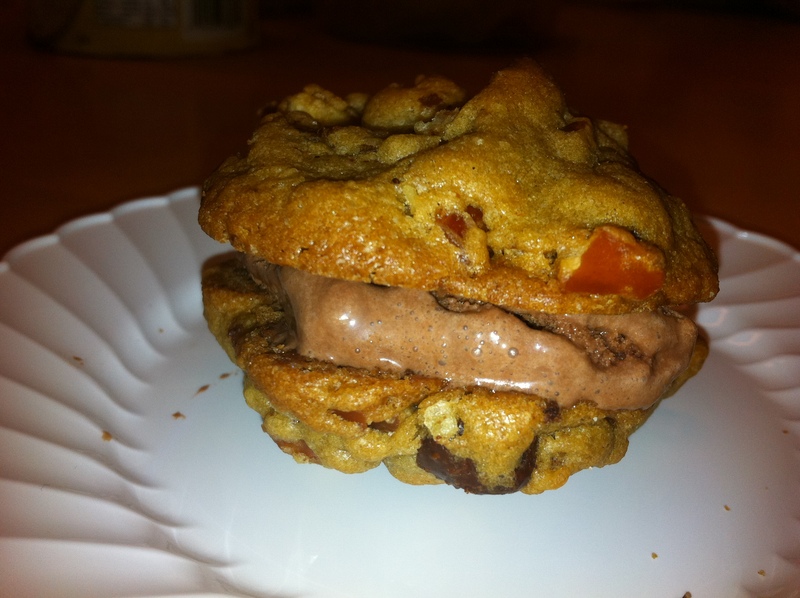 Add a healthy tablespoon of chocolate ice cream to make an outrageous Ice Cream Sandwich! *Forming the dough into logs will make it easier to “slice and bake” the cookies. If you do not have parchment paper, just refrigerate the dough as is.